Photoshop brushes are designed by digital artists for other digital artists, who care so much about their craft and the level of detail that goes into making it work that they almost kill themselves over it. Be smarter about your options. 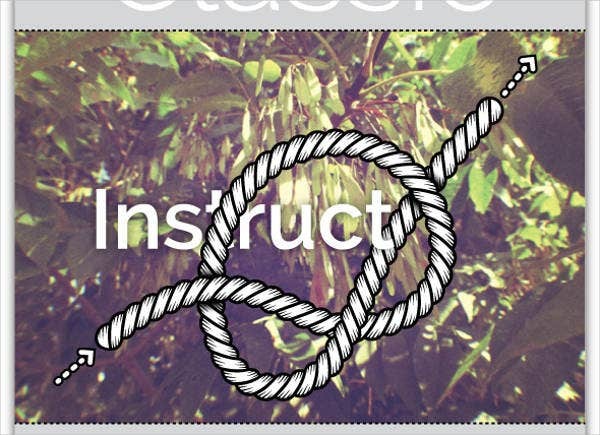 If you’re going to be drawing a lot of chains and ropes in your projects, don’t free-hand every chain link and twist of rope. 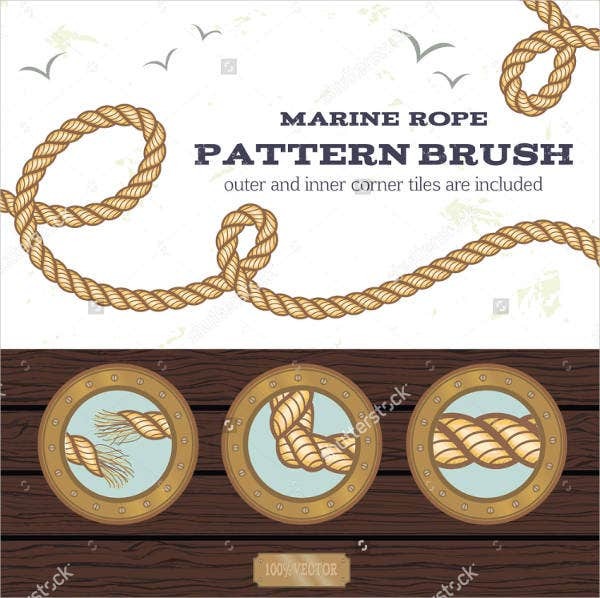 These rope and chain brushes will do the work for you – easy, effective, and with amazing, flexible detail. These aren’t the “stamp” or “sticker” kind of brushes. The brush point will be a single chain link that you can drag and loop to create your chain. These are ABR files and GIMP brushes, some for free with licensing restrictions, and others you’ll have to pay a little for. 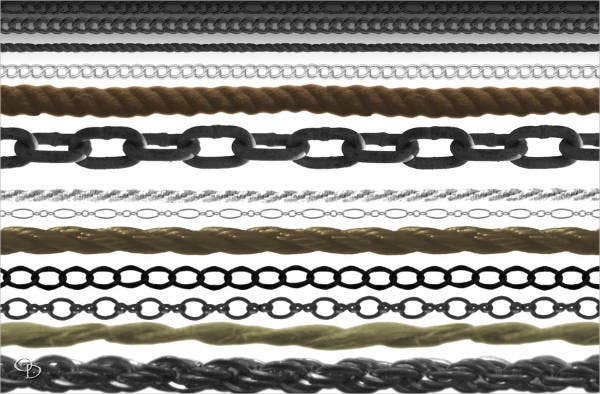 All the ropes and chains brushes on offer have been designed to have no gaps between rope and chain links. They follow seamlessly for most angles you would drag the brush in, whether 45 degrees, 90 degrees, or rounded edges (but note that angles less than 45 degrees may cramp the pattern). Several of them even have frayed and regular ends. If you have Adobe Photoshop or Illustrator CS6 to CC, these will work great for you. Corel painters will need version 2016 and up to import ABR files. GIMP files, of course, are for Gimp. 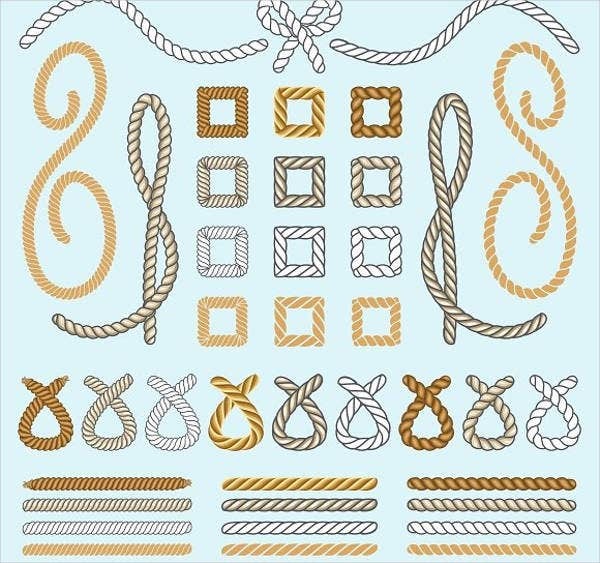 Many of the ropes will work well as borders on retro labels and themed greeting cards, or even sailor- or nautical-themed badges and rodeo posters. 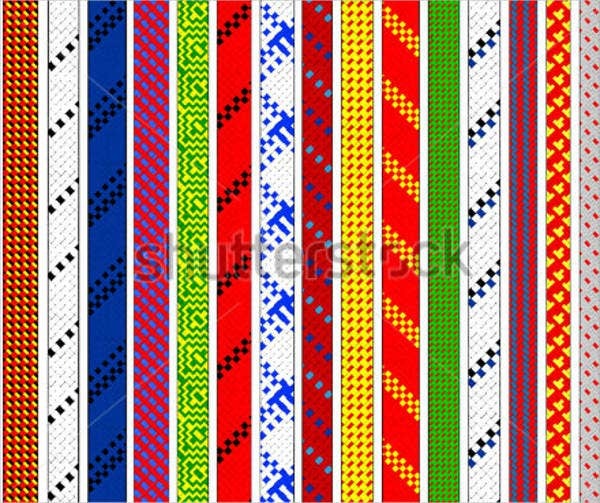 The fancier ropes can be used as fabric design hems and trimmings. 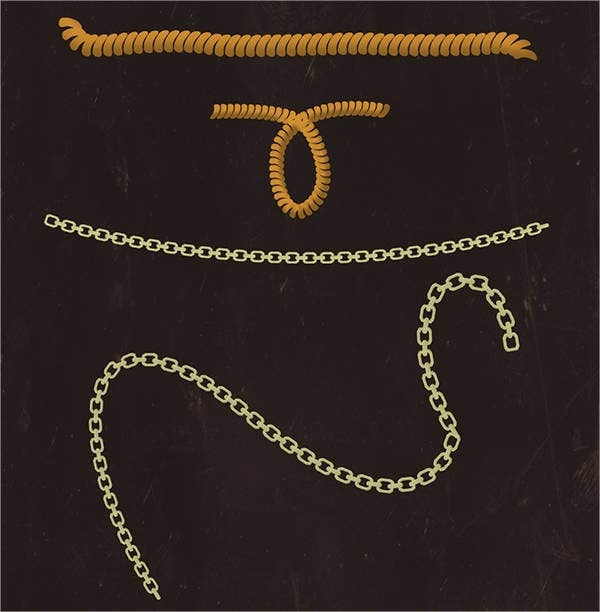 Chains can work well for jewelry or just about any art piece that requires them. You also have more options with brushes that allow some degree of customization, or those that come preset with various designs. 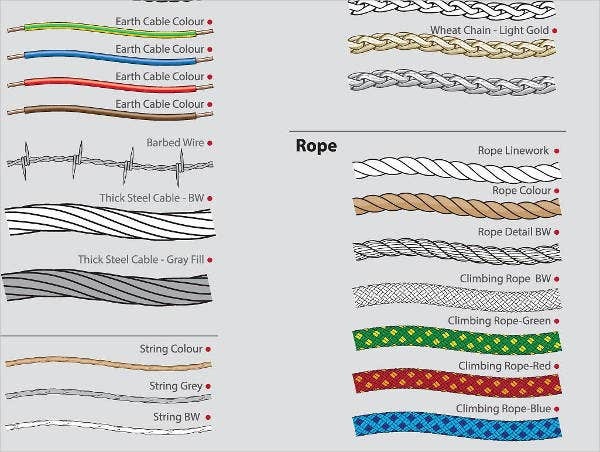 The Cable Rope Brushes set includes different wire and cable patterns as well as ropes and chains with different link patterns, from wheat chains to simple round-links. You can scale them and customize them further. If you don’t want to customize, many of them offer a range of options already coded in. 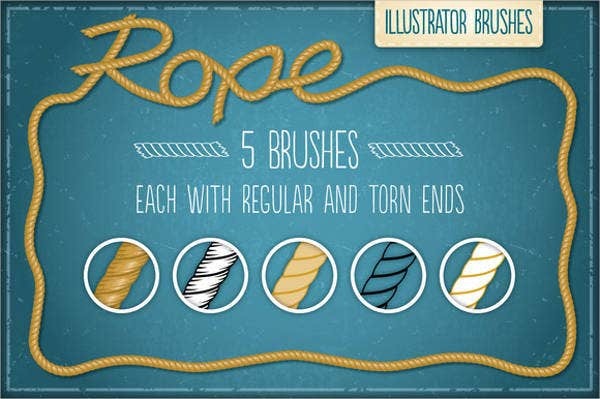 The colorful preset lanyard patterns in the Rope Pattern Brushes below combine rope brushes with geometric brushes a campy, preppy, or ethnic look. Before using on commercial projects, make sure to check out any licensing restrictions that may apply. 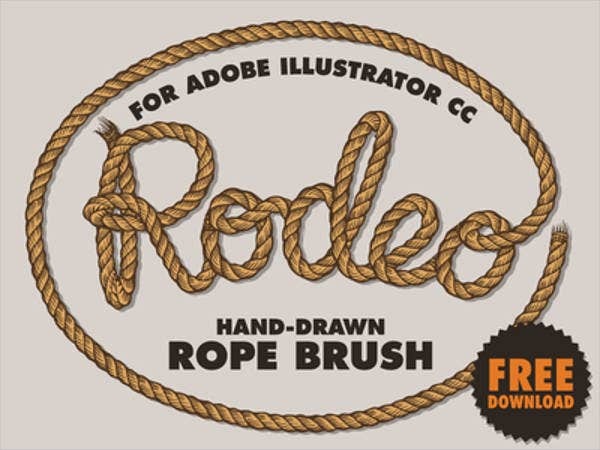 For example, the Photoshop Rope Brushes available as ABR and GIMP from redheadstock on deviantArt are offered completely free of charge even for commercial print projects if you credit her according to the terms and uses noted on the product description. If you don’t credit, you’ll need to purchase a $3 commercial license. Others on offer here are free altogether, and yet others require you to pay a licensing fee up front before you can use them. Help out a fellow artist and follow the terms. This stuff can save your software, hardware, and your sanity. Remember when we mentioned retro-themed designs? 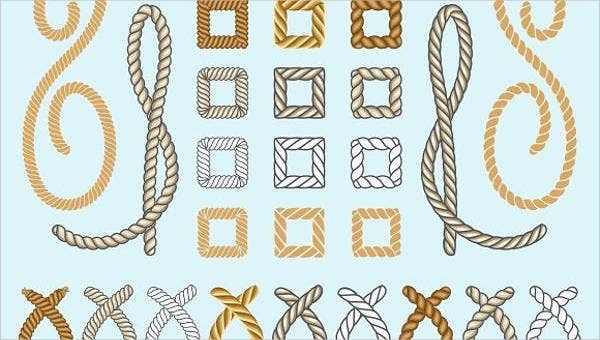 Check out some vintage brushes you can download side by side with these ropes and chains for interesting combination effects.